The daily sight of American media pantomiming business as usual, covering Republican politics in all seriousness, is one that minute-by-minute drives more and more Americans over the bend in disbelief and with acute anxiety. The GOP elephant in the room, as far as mainstream media are concerned, is that today’s Republican Party has evolved into a fringe political outfit, albeit a very powerful one, that has broken with all previous and conventional standards of intellectual, economic and scientific discourse, with no counterpart in the rest of the post-industrial, democratic world. America’s mainstream media outlets and careerist pundits and journalists would rather die (or pretend) than name it. This is a development bad for democracy, and even portentous, and at the very least, lethal to historical, accepted standards of truth and objectivity. The undermining of the basic currency of discourse, which decades of conservative crusading and propagandizing have accomplished, is no small thing, despite appearances, and I would argue, uncorrected and ignored, in the end is not survivable. Alarmist? I’ll take the risk. When is too early for an alarm to sound, and what exactly should the alarm sound like? All credentials in the study and understanding of science, economics or history now are essentially the equivalent of none in the public square. From the standpoint of the conventional media day by day, identifying that which is irrational as such, illogical or nonfactual, now is regarded as merely assuming a partisan or ideological position in regard to what has been asserted. How America’s fourth estate sank to this slackened state of professional conformity, and lack of rigor may be complicated and slow to evolve, but that does not change the gravity of it, nor that it is largely a gravity all but ignored. Yet huge chunks of American media consumers, and citizens, not simply Cassandras such as yours truly, clearly are appalled by, frustrated with, and turning away from a corporate media and elite opinion conspicuously abiding the discarding of long-revered conventions and standards, basic, bottom-line criteria for claims and assertions, any required journalistic and intellectual integrity. The power of propaganda, well beyond past notions of political spin, or ordinary politicking, an altogether different animal from age-old rhetorical posturing and political proselytizing and theatricality, the successful promulgation of alternate realities have changed the country profoundly. Why the prominent media has yet to recognize, acknowledge or correct for it is beyond my understanding, even given the usual careerist and commercial explanations. If one is inhibited from objectively declaring a fact to be a fact, or a non-fact a non-fact, one is practicing incompetent journalism. If identifying an objective truth is regarded as tipping the balance to one ideological or partisan side, then, practically speaking, truth and objectivity therefore, are all but irrelevant. If information is a key ingredient in a healthy, functioning democracy, this should be an alarming development. Any claim that citizens in the end will sort it all out, is a flaccid conceit, and a dangerous one. It is certainly belied by a great deal of history. 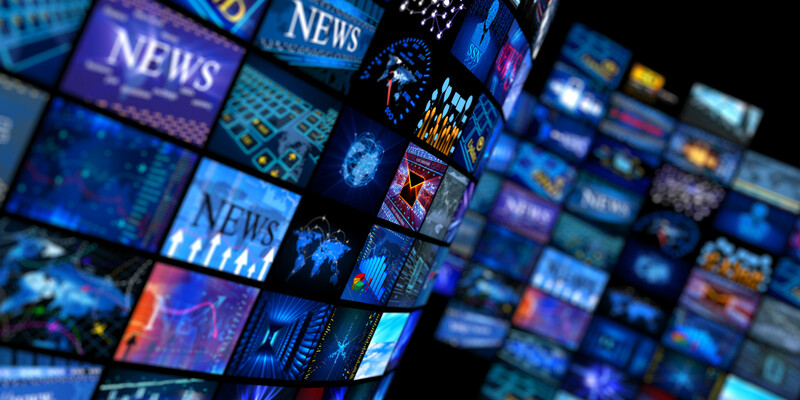 Factuality, in most cases, is far less subjective, and up for grabs, than those who consume prominent American media outlets have been led to believe, that it is otherwise is an impression media outlets conveniently, enthusiastically foster. Many, if not most versions of events can be verified. What is suspect, and what is harmful, is when the verifiable can be, and regularly is dismissed with impunity. No small number of those who worked for, or supported Richard Nixon, believe to this day, that exposure of his crimes and misdeeds was an injustice, attributable to an arrogant, and liberal media. Among them was Roger Aisles, current chairman of Fox News. Indeed, an entire segment of movement conservatisim vowed never to let it happen again. From this long ago avowal, sprang a concerted, long-range crusade to undermine the objective refereeing by American journalism, a crusade involving propaganda, as well as insistent, relentless pressure on an increasingly corporate-owned media highly susceptible to pressure, if not swooning at the mere sight of it. Ultimately, what has slowly but surely transpired, is a form of social, intellectual and cultural purge. It’s not people who have been purged: it’s principles and traditions, standards and ideals. No violent deaths have occurred, but the demise of these operating standards for democracy are a serious blow. What does such a purge set the stage for? Nothing terribly worrisome, perhaps. But what if it were? Would we know? I’ll leave you with a snippet of an interview by Chuck Todd on Meet the Press, with inimitable Republican presidential candidate, Ben Carson. There’s nothing especially egregious, unusual or remarkable about it, it is perfectly ordinary in forums such as Meet the Press. Indeed it’s the mildest of possible examples of something. What possible value these proceedings were to anyone, I cannot imagine. I’m paraphrasing from memory. Todd: The Black Lives Matter movement expresses its concern that African-Americans, especially African-American males disproportionally suffer abuse and death while incarcerated. Carson: Here’s what I tell people: what if for a 24-hour period we removed the police from every community? Then we would see how important law enforcement is for the safety of our communities. Todd: Okay, let’s move on. Where to, we might ask?